Q: Make a flash flipping booklet with hard cover style? 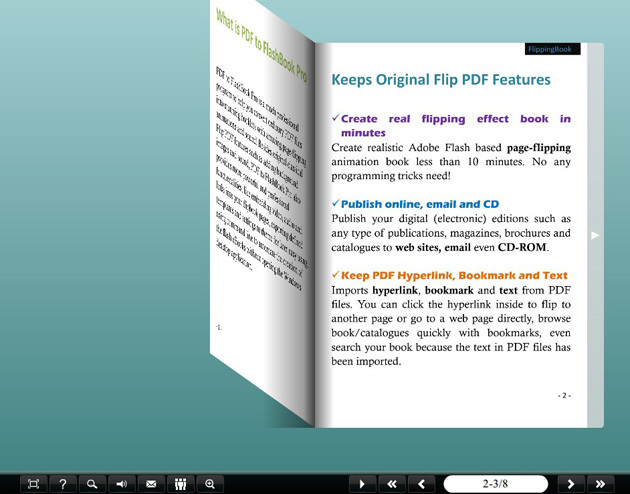 PDF to FlashBook is so functional that you can even make a hard cover style book with it. Do you want to make your magazine looks like some bound books? Or do you just want to try something different? Then you may like this one----a hard cover flash book. Whatever you are requiring, PDF to FlashBook is always come out with the answer. Even you’re looking for a hardcover book. So let’s see how to make a hard cover, that’s quite easy. 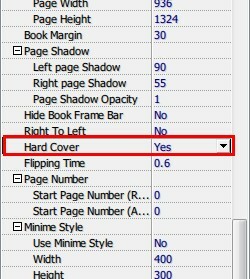 Find “Hard Cover”, then check it “Yes” and apply it. Now the flip booklet is hardcover. With your brilliant magazine, it must do a great job!